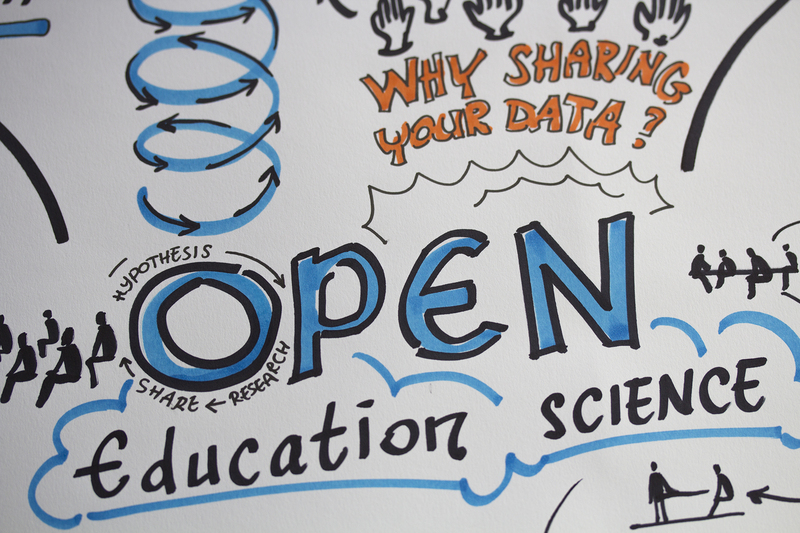 Mark van Huystee | WHAT DOES OPEN SCIENCE MEAN TO YOU? 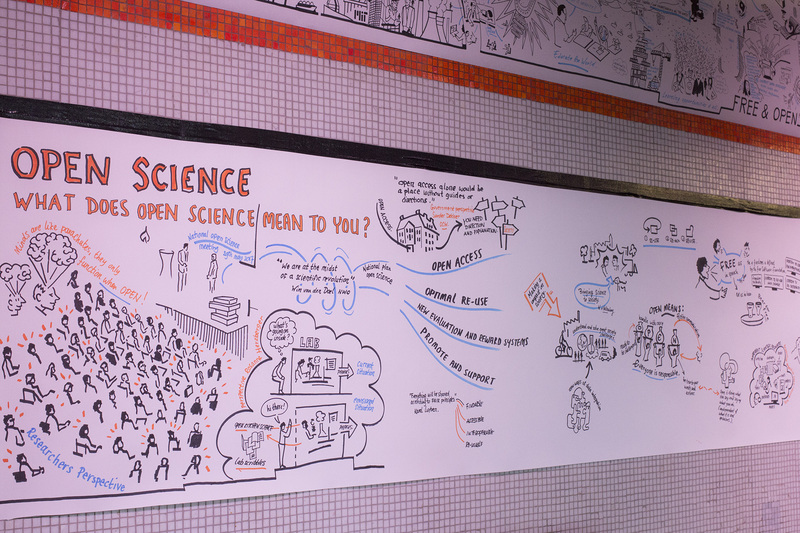 WHAT DOES OPEN SCIENCE MEAN TO YOU? 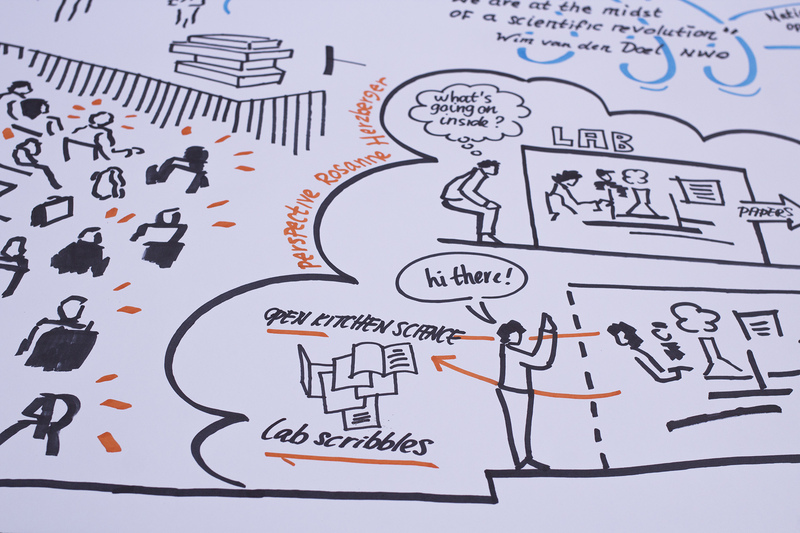 In the TU Delft Year of Open 2017 Martijn Ouwehand and Mark van Huystee visited presentations, organized events and created visualizations, looking for connections between (open) education, (open) research and (open source) software. 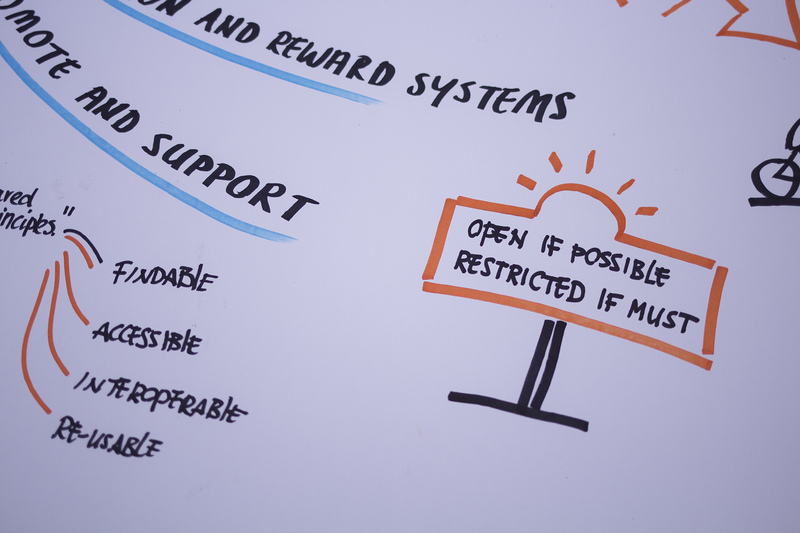 The process and results of this quest were presented at the OE Global Conference from 23-26 April 2018. 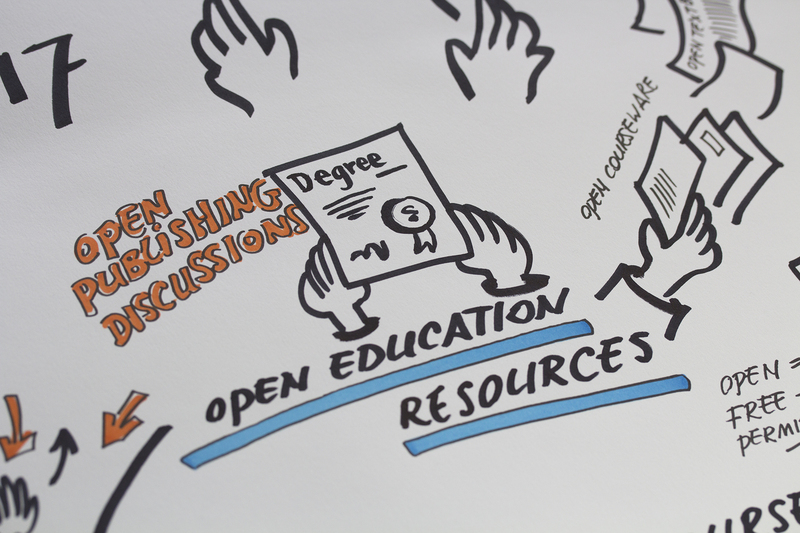 In 2016 TU Delft started a university wide Open Science program, aiming at providing an umbrella for open education, open research, open data, open access publications and open source software. 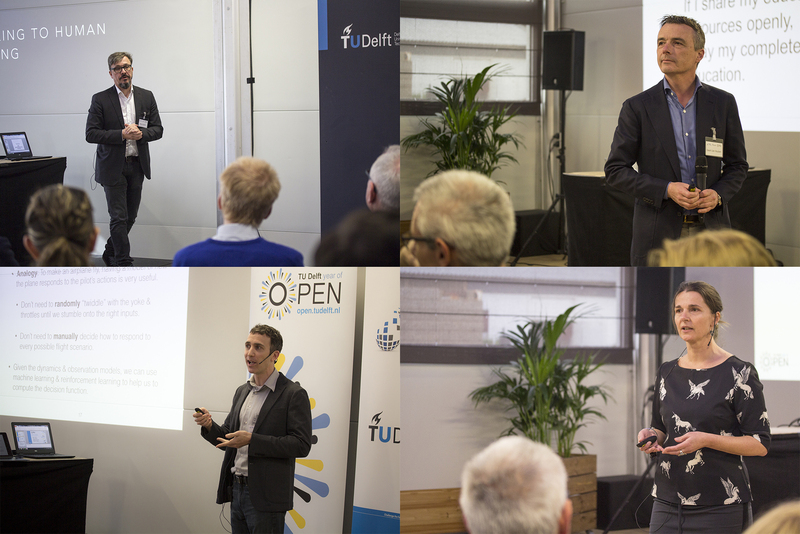 In the TU Delft Year of Open 2017 Martijn and Mark visited presentations, organized events and created visualizations, looking for connections between (open) education, (open) research and (open source) software. 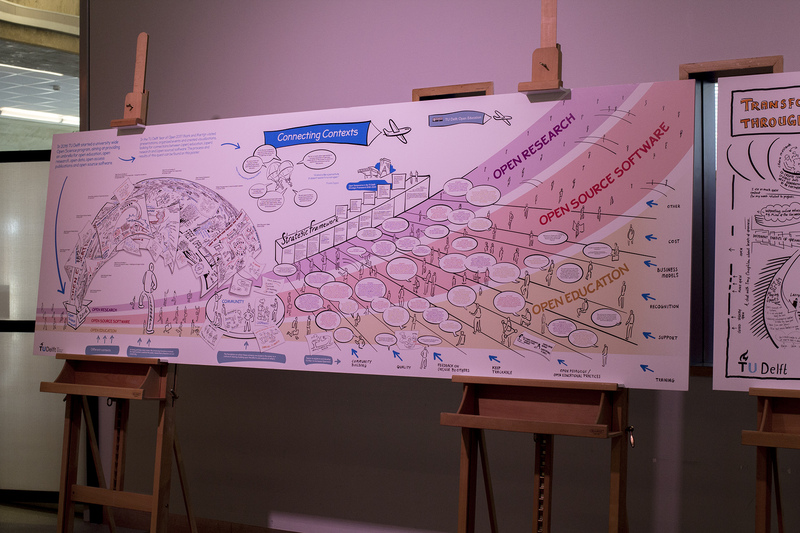 The process and results of this quest were presented at the OE Global Conference and are shown below. 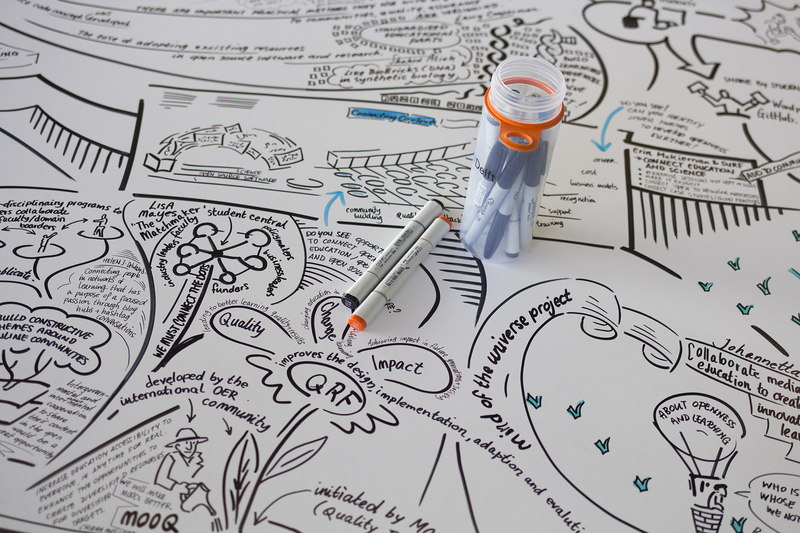 Process and results visualized on the ‘Connecting Contexts’ poster. Send an email to Mark (m.t.m.vanhuystee@tudelft.nl) if you’re interested in a high resolution pdf file of the visualization. 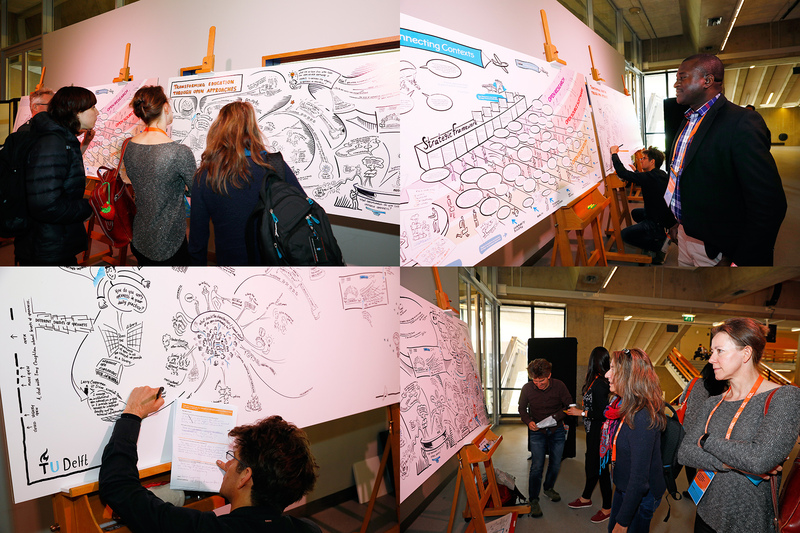 Live visualization of participants feedback at OE Global. Send an email to Mark (m.t.m.vanhuystee@tudelft.nl) if you’re interested in a high resolution pdf file of this visualization. 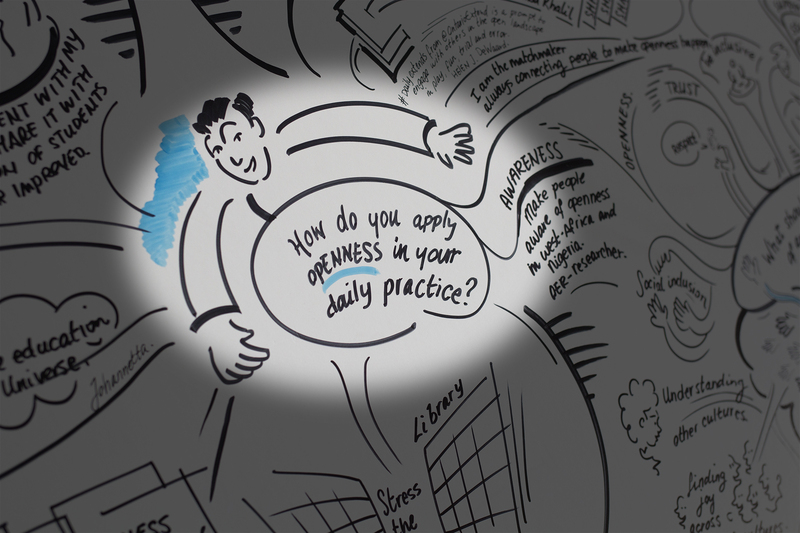 Details from the live visualization. The participants responded to several questions. 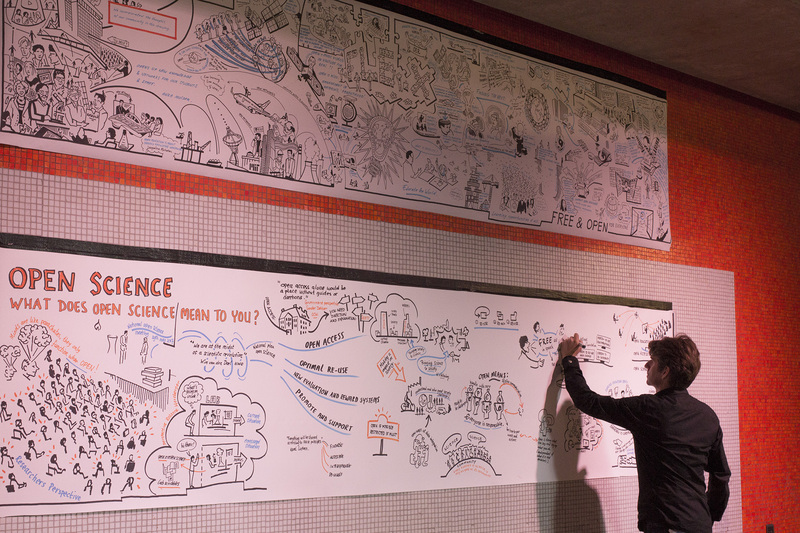 Conversations and a visual brainstorm at the Open Science dome. For more information about the symposium click here. 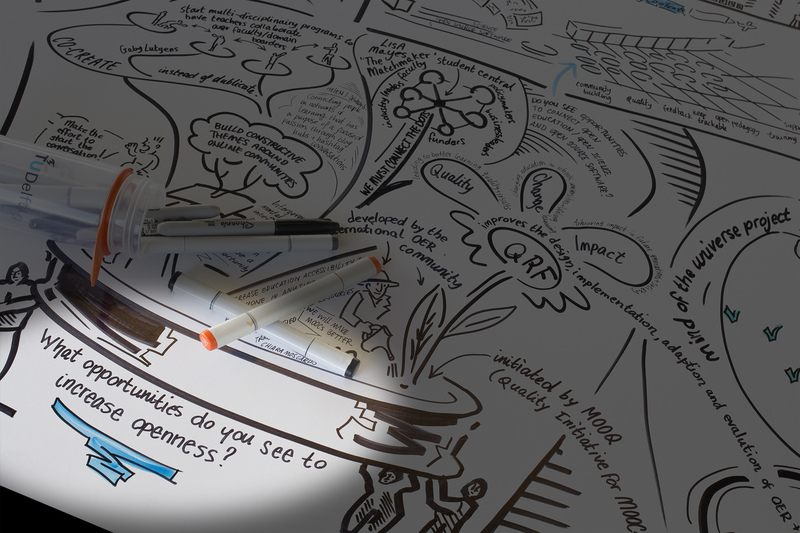 Visualisations inspired by the theme and by input from symposium participants. 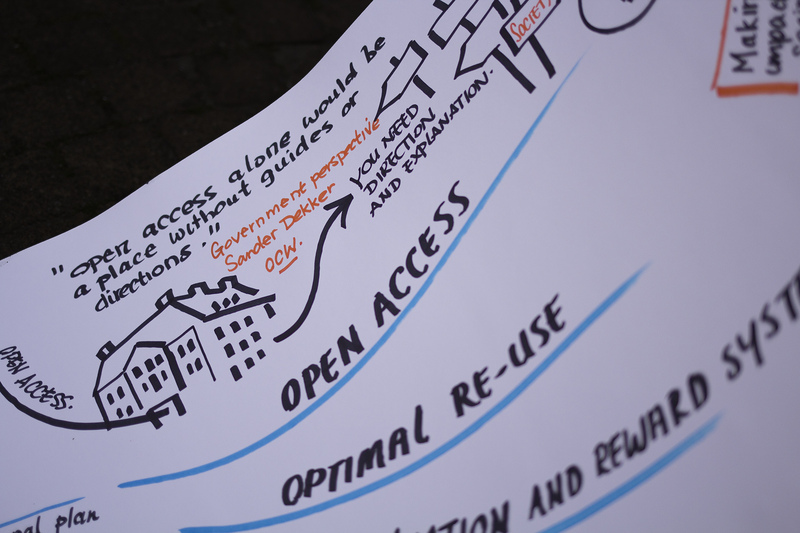 How to increase the Open Science Force? 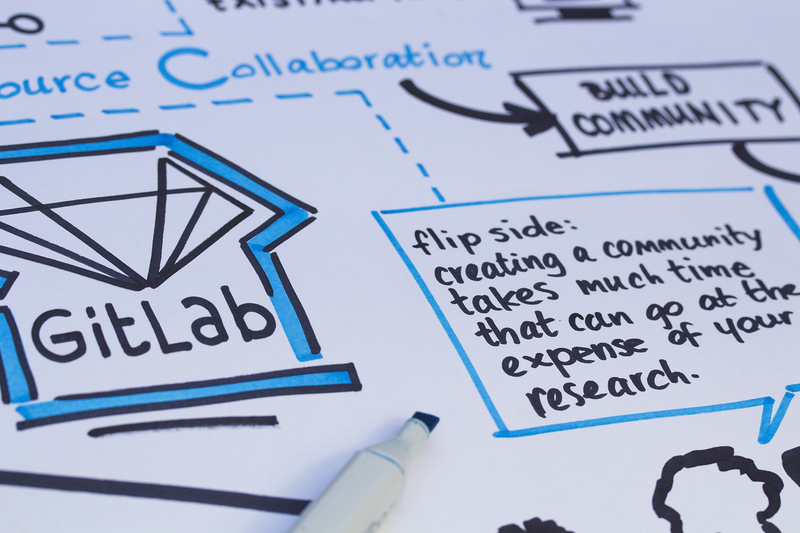 – Participants emphasized the importance of showing and making research accessible. Like Yoda said: ‘always pass on what you have learned’. – Interviewees advised to join forces. For instance between libraries and by respecting others disciplines. – Several participants indicated financing as a dark force. 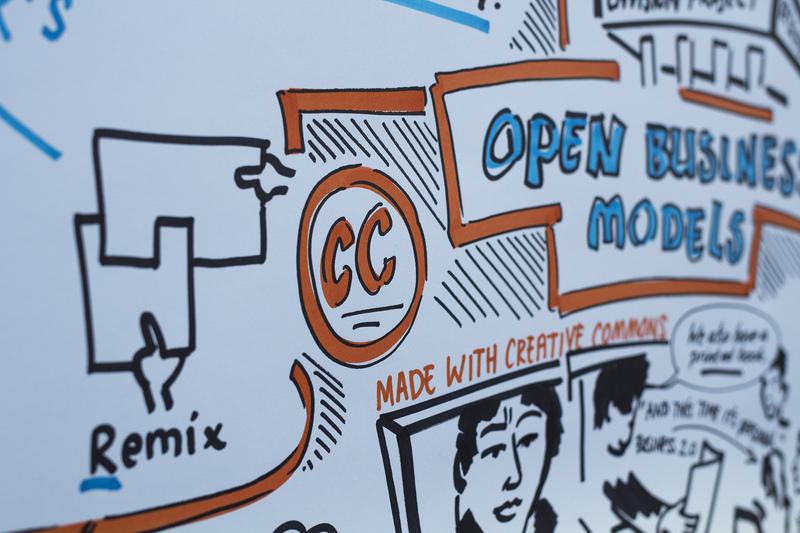 The need for short term success suppresses openness. 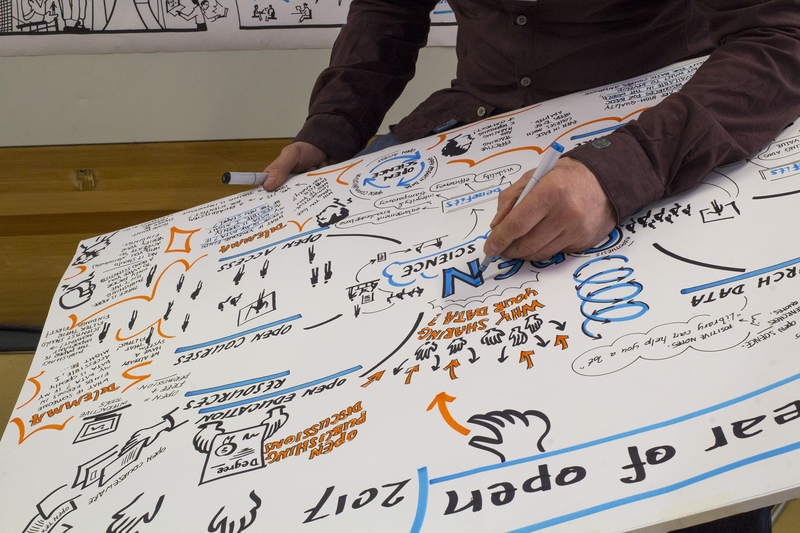 For a written overview of all sessions, click here. 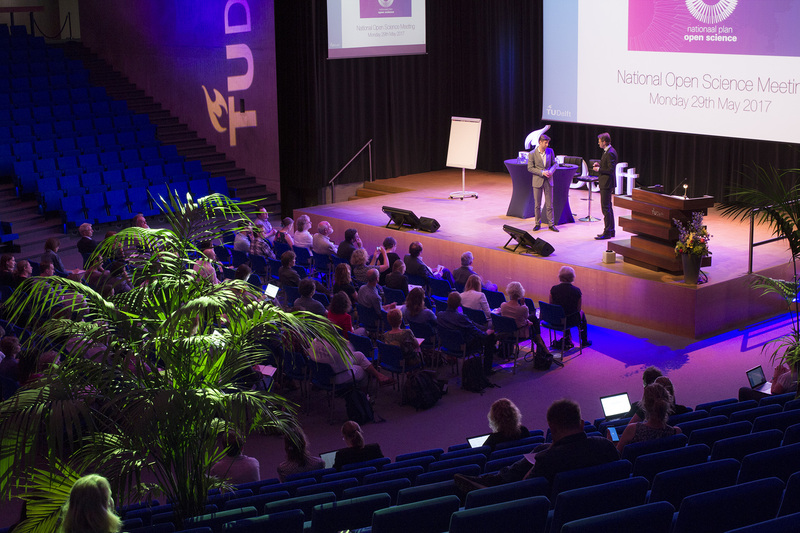 Training and support for researchers, October 26, 2017. 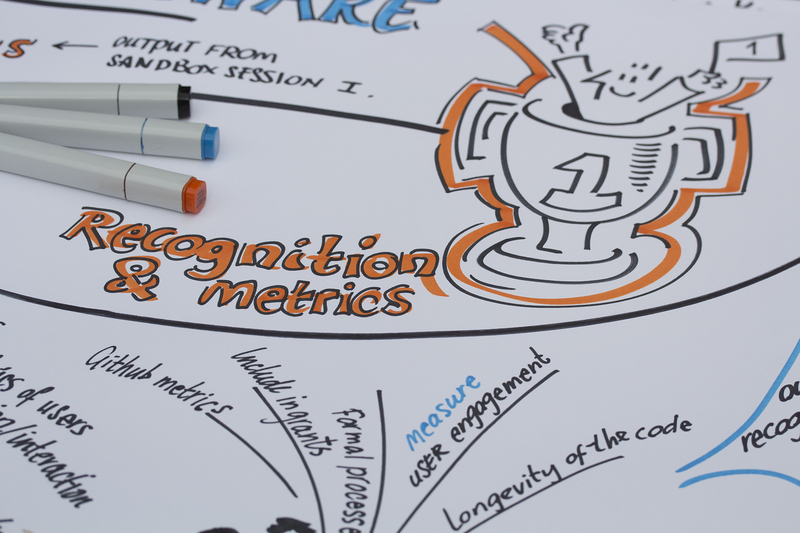 Software as output of the researcher – recognition and metrics, September 22, 2017. 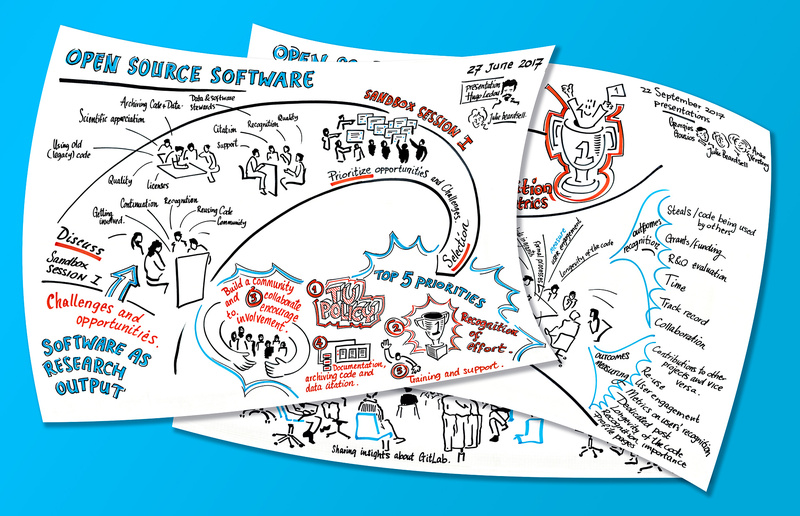 Software as research output – challenges and opportunities, June 27, 2017. 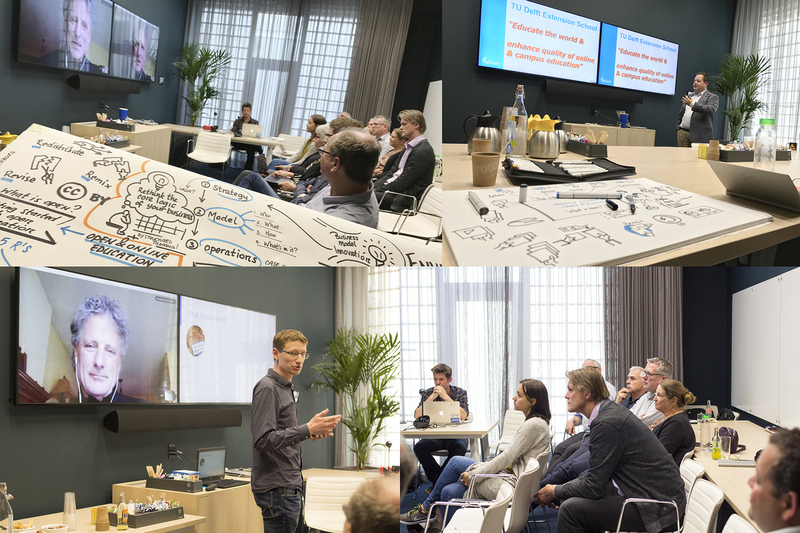 Presentations at the National Open Science Meeting on 29th May 2017. 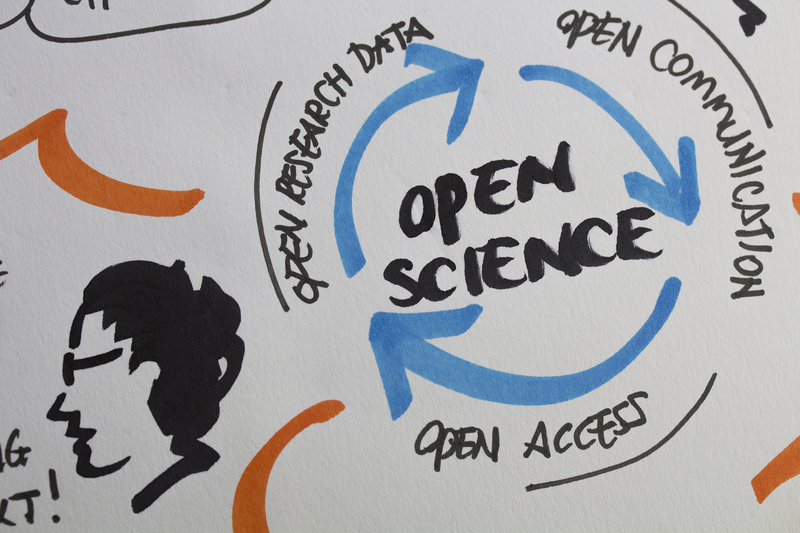 For the National platform Open Science, click here. 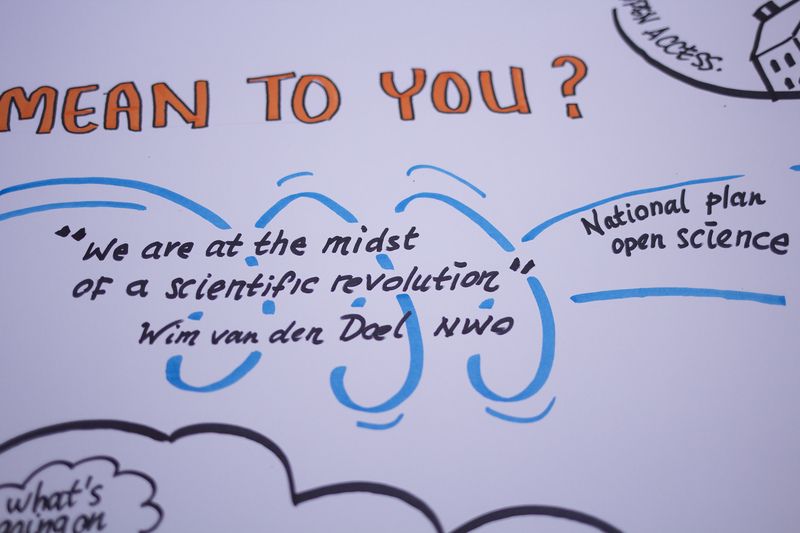 Visual notes based on the participants input: “What does Open Science mean to you?” Wim van den Doel (NWO) about open access, open data and rewarding open science. Sander Dekker (OCW) about access and guidance. Rosanne Hertzberger about ‘open kitchen’ science. 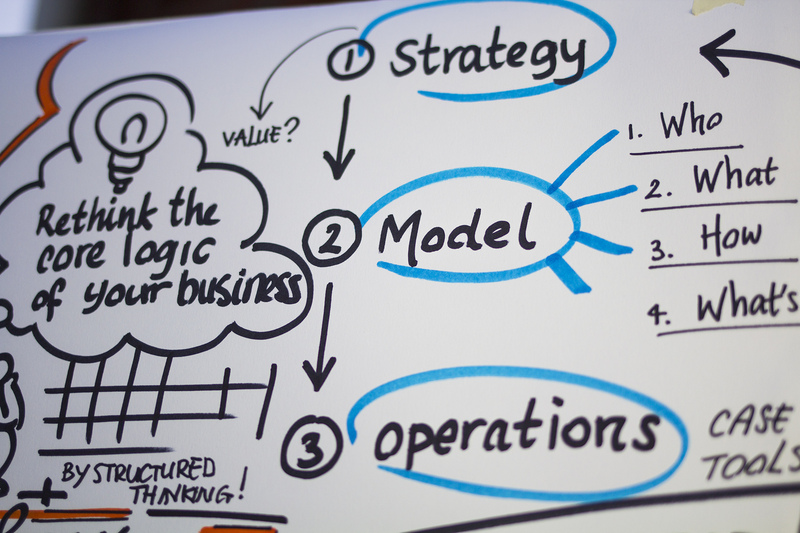 Speakers at the Open Business Models Session: Paul Stacey, Mark de Reuver and Willem van Valkenburg. 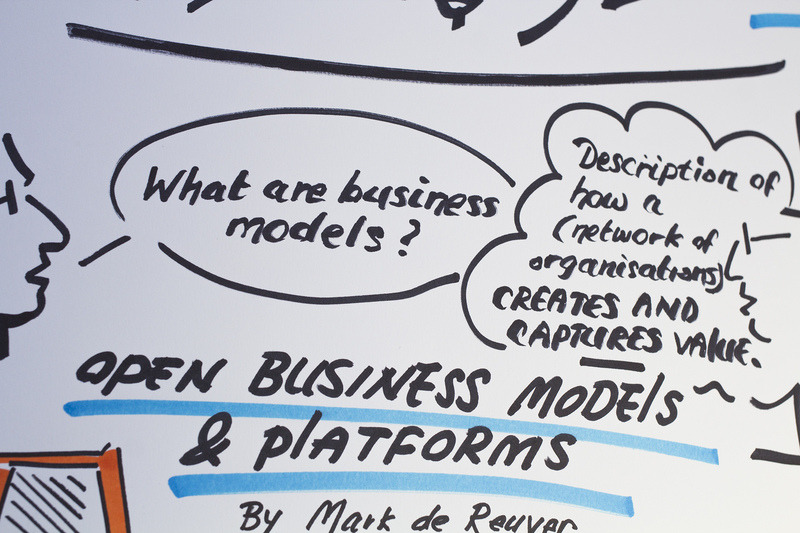 Delft, 9 May 2017 Visual notes at the Open Business Models Session. 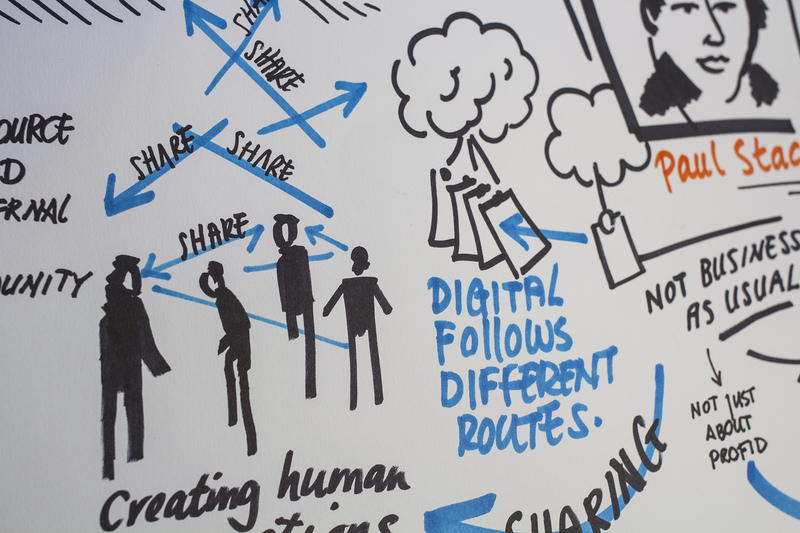 Paul Stacey about creating human connections and sharing. 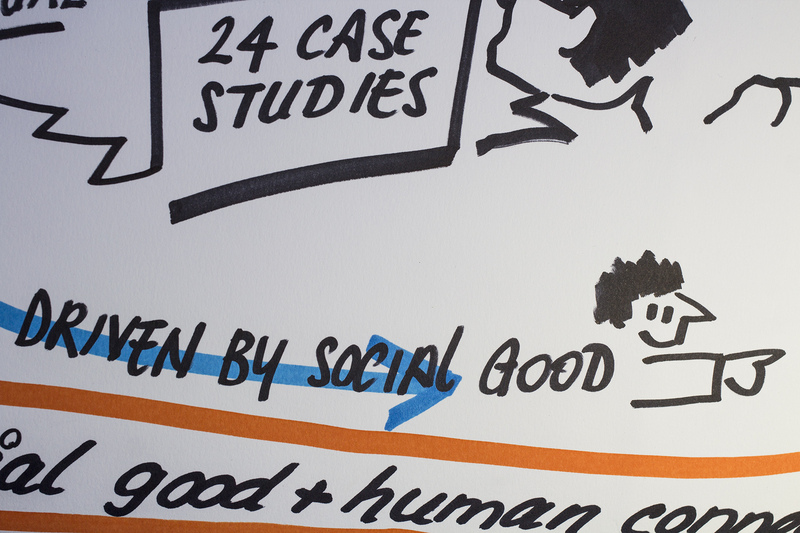 Paul Stacey about sustainability > CC + social good + human connection + $ Mark de Reuver about innovation. 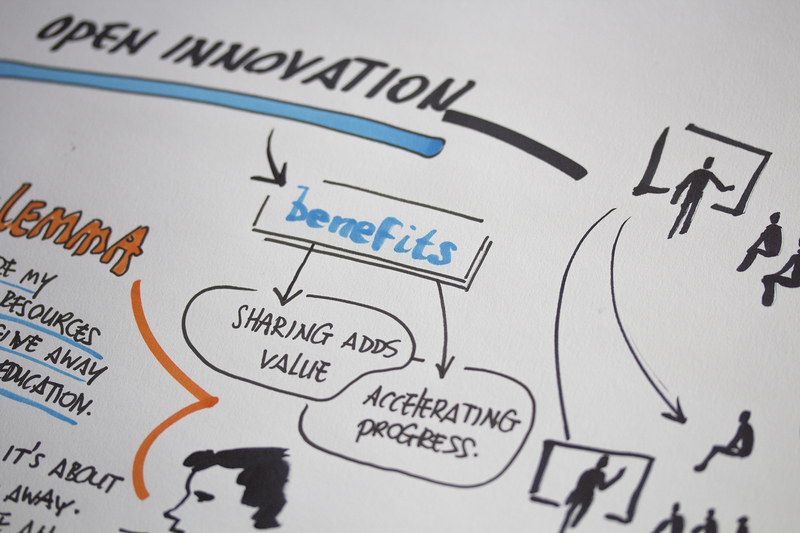 Mark de Reuver about business models and the Envision Project. Willem van Valkenburg about openness and the 5 R’s: Remix, Retain, Reuse, Revise and Redistribute. 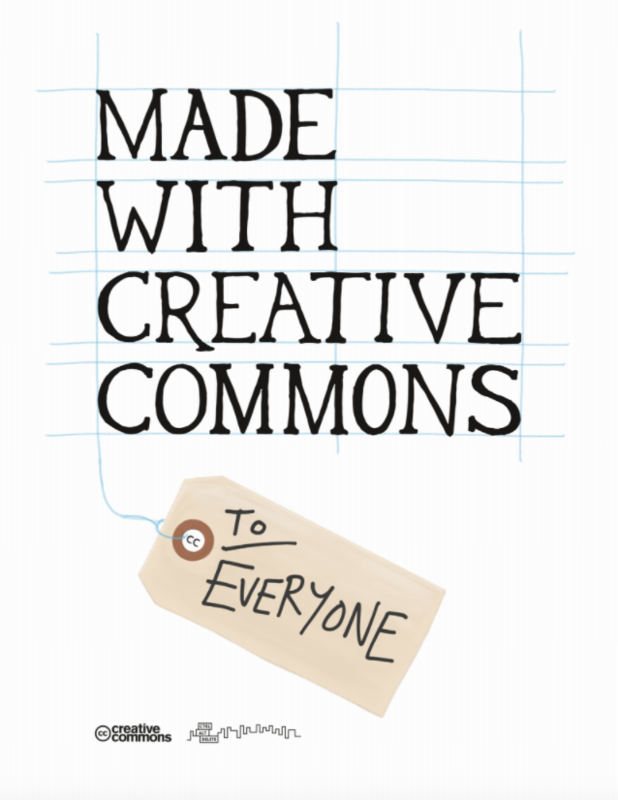 For the last year and a half, Creative Commons staff Sarah Hinchliff Pearson and Paul Stacey have been writing a Kickstarter backed book about sharing and open business models called Made With Creative Commons. 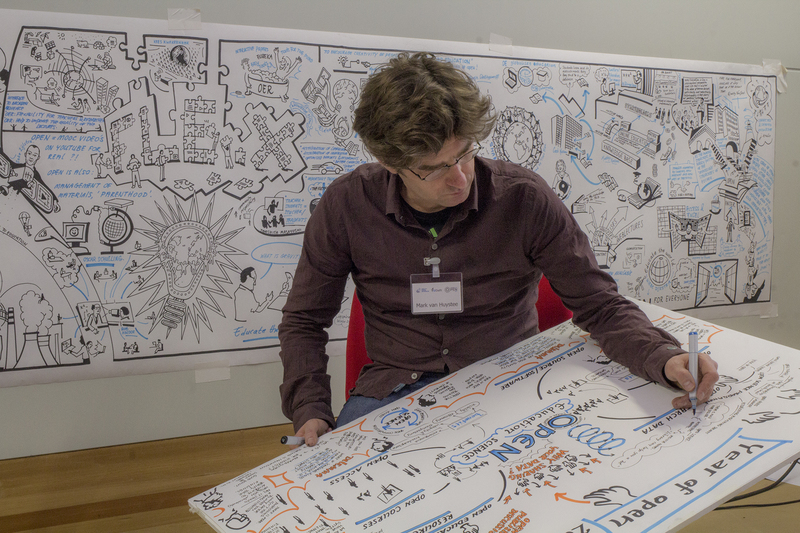 Talking down the visual minutes at the Open Science Seminar March 31, 2017. 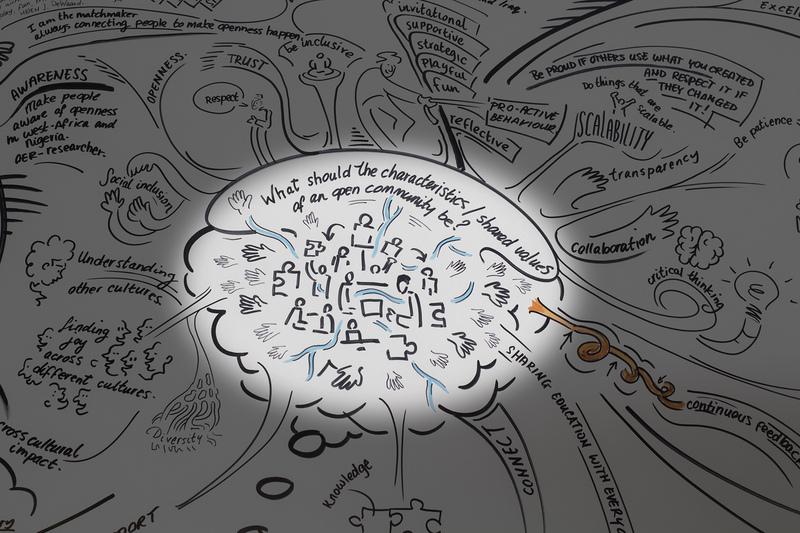 Central part of the visualization. Speakers at the Open Science and Data Science Seminar March 31, 2017. 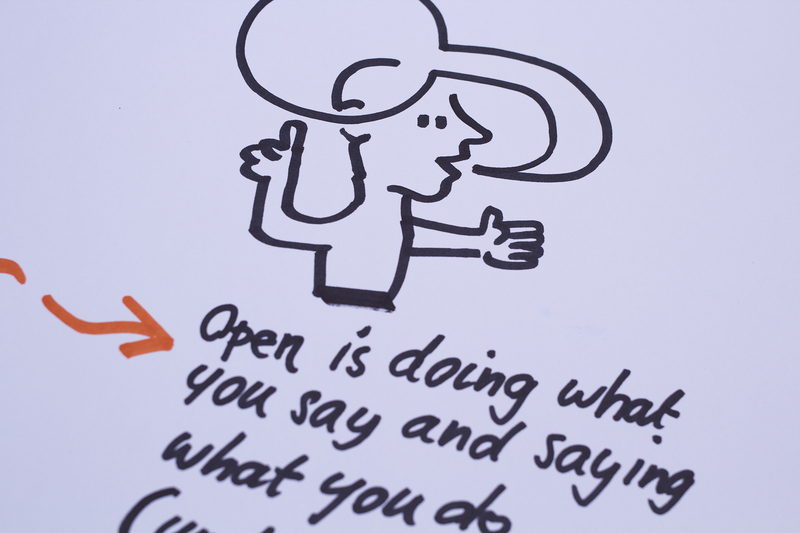 March is thé month for the Open Education Week: a week to focus our special attention to openness in education. 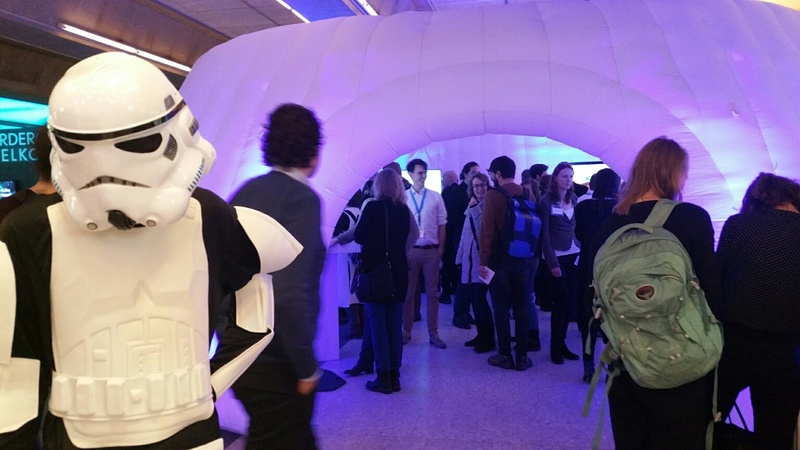 Between March 27-31 several Open Education activities are offered at at TU Delft and SURF.